Seems like lately, everybody wants to reinvent themselves by changing their names. Take Ron Artest for example -he is now...legally... Metta World Peace. 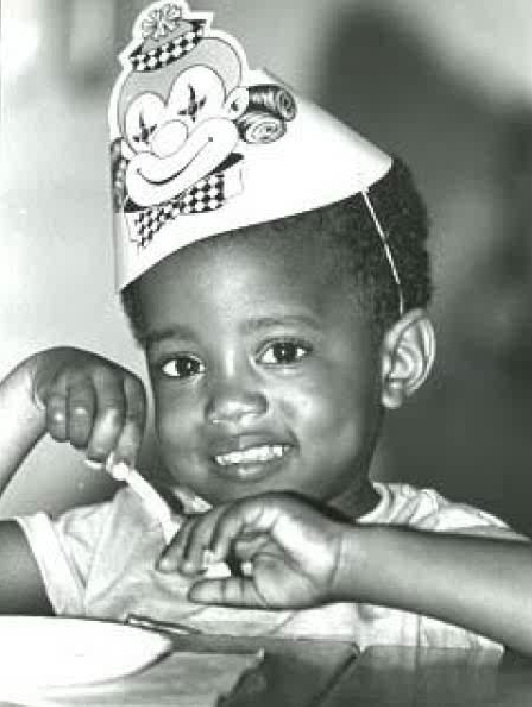 So, Kanye West (pictured as a child above in a photo from his aunt's house) has decided to follow suit. He tweeted that he is changing his name to DJ Yeezy World Peace. Well, for New Years at least. lol Check out his tweet from the latest Kanye twitter rant after the jump. Also- random, but Kanye who has avoided following anybody due to exposing them to his obsessed fans is now following 4 people! 1 being..Kim K.